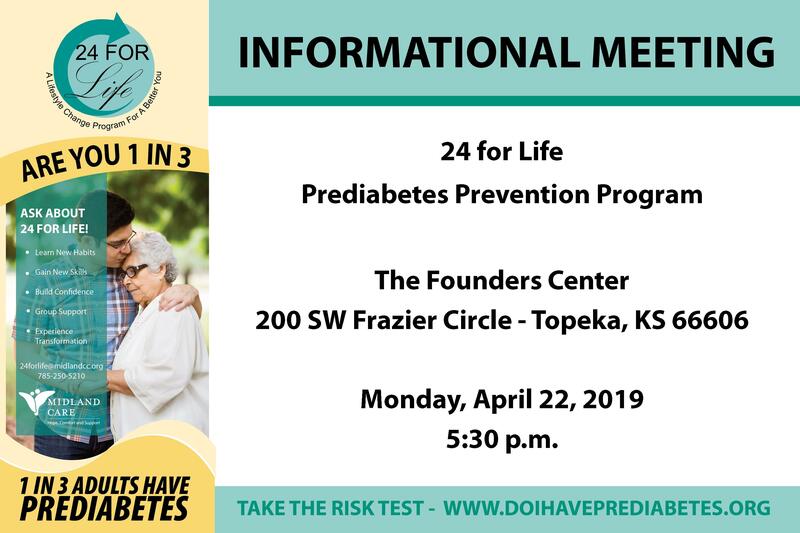 Join us for an informational meeting about Midland Care’s Diabetes Prevention Program – 24 for Life! During this meeting you can learn about upcoming classes and content of how to prevent Type 2 Diabetes. To register please fill out the form below.